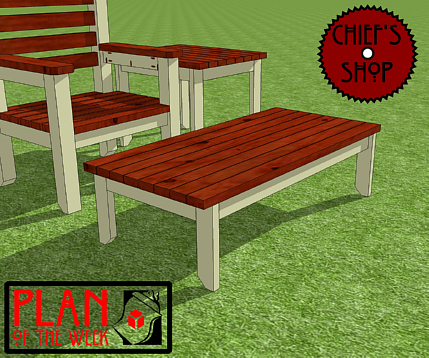 The Chief’s Shop Garden Throne Coffee Table is a companion project to the Garden Throne and Garden Throne Side Table. This outdoor coffee table can also serve as a bench. This requires only a miter saw, drill/driver, and Kreg Jig to complete. Download this free woodworking plan pdf by clicking here or on the image at left.